During the event time, you can visit NPC WildMaster (Twin City / Market 362,435) to buy Inner Power Concepts. 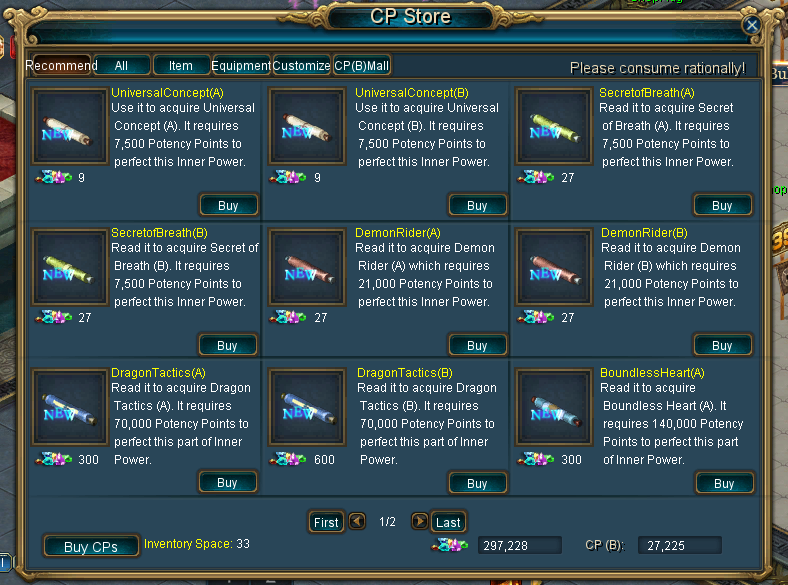 You can also trade in Inner Power Books for Potency Points at NPC MysterySage (Twin City / Market 380,383) . Note: It's advised to buy all the books and store them in your Warehouse as the Realm Server is currently offline.